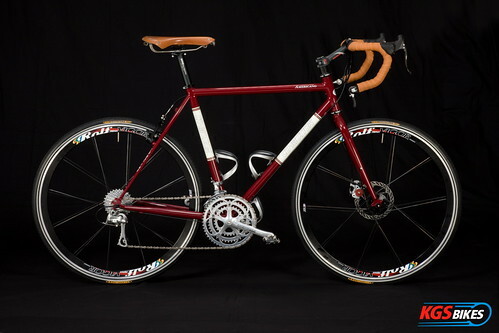 Kevin Saunders of KGS Bikes in San Antonio, Texas sent us a link to his Flickr photo gallery of what he describes as “the ultimate commuter bike”. 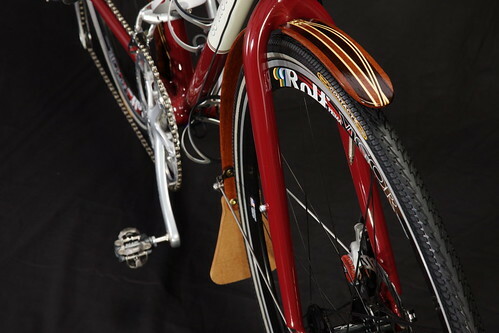 Built around a Co-Motion “Americano” frameset and featuring exclusive Campagnolo Comp Triple components, Rolf tandem wheels and a beautiful Brooks Swallow saddle, this bike isn’t for the faint of heart (or light of wallet). 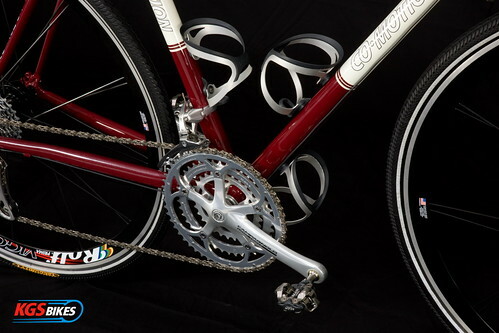 And for even more photos of this bike and the other dream machines that KGS Bikes puts together, visit their Flickr photostream. If you’re ready for a commuter bike like this one, be sure you’ve got a VERY secure place to park it wherever you go. And remember, even a dream machine like this is cheaper and more reliable than a car!